Do you know what Personal Branding is and how it would work for your home business? What does your network marketing home business say when people think about it? Do you have a logo or a meme for your home business when you are operating your mlm business? 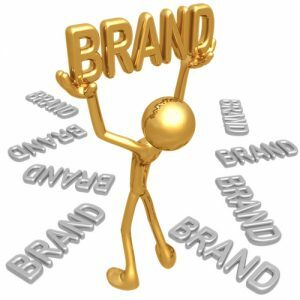 Personal Branding is CRITICAL when you have a home based business or any other kind of business, as it tells WHO and WHAT you are in a very ‘catchy” logo or slogan or both. We at PassionFire have had a brand wrapped around the word and image of “FIRE” for years, and it is a part of our business culture now. I have worked with home business companies to help build a brand that accelerates their presence out into the marketplace. Lets talk about PERSONAL Branding and what it means to you and to your network marketing home business. I want to also ask you some questions that can help develop or form your Personal Branding Blueprint and it is important that you ask these questions as it will help you FOCUS on what your brand should really FEEL like and LOOK like. Ranchers use a hot brand that they brand the cattle as their own, with the ranchers identifying mark, and when the cattle is out in the marketplace, everyone knows whose cattle it is. The brand is “seared’ into the cattle’s hide, and then it stays there. You must “SEAR a Mark” into the public’s mind and senses with who you are with your home business company, and that mark must be different and people can remember in a very positive light. 1) What do you want to be known for as far as when people think of you? This is a critical question as it truly DEFINES the “top of mind” thought for you in a person’s mind. 2) What picture do you want people to see when they think of you? The image a person has for you and your business must be a powerful and memorable one. 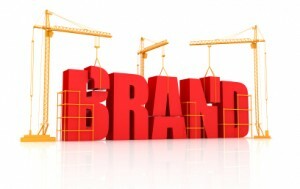 Branding is making a decision of who you are and what you are known for in the marketplace. You need to get away by yourself and really think about who you are and why people should listen to anything you have to say. Forming your brand is being honest, and yet prophetic of who you are becoming in the marketplace and the factors that will determine that. 2. What makes you special? 3. What makes you magnetic? 4. What makes you memorable? 5, What do you do that sets you apart? 6, What do you say that people seem to like? 7. If you could describe you in one word- what would that be? 8. What do people FEEL IN THEIR GUT when they think of you? 9, What do people talk about when they talks about you? 10. What do people do when they talk to you? 11. 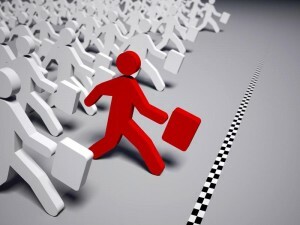 And what ONE THING makes you stand out in a crowded marketplace that you have to offer the world? These questions will help you start designing a personal brand that will be YOU as well as craft the MESSAGE that you want your PERSONAL BRAND to have for your mlm network marketing home business. 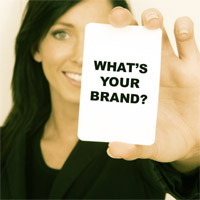 The 7 Power Branding Questions for Personal Branding. There are certain Social Media Trainings that you must have for a network marketing home business-are you aware of that? 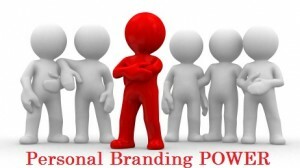 Do you know the 7 Power Branding Questions you ask for a Powerful Personal Brand? Would you like to learn them for your mlm business? 1) Power Branding on social sites. 3) Partial Branding when needed. 4) Emotional Branding through Value. 5) The 5 Anchors of Branding. perception of you. Developing relationships is what Leadership is all about. It is also the basis for recruiting and building a team. Your Personal Brand comes from first CONNECTING with people. Then from that connection, help them ON PURPOSE, developing a particular opinion or perception (or MARK) about you. MARK in the marketplace that goes before you, stays on people’s minds, and follows you when people think or talk about you. This MARK identifies their perception and your reputation that is in their mind and has “marked” you every time they think of you- good or bad. are and what you have to offer. to help people reposition themselves in the marketplace. Let’s ask some questions that will help you FOCUS on developing a brand that will work. 1) What ONE WORD do you want people to think when they think of you? 2) What ONE IMAGE do you want people see when you cross their mind? 3) What ONE FEELING do you want people to feel when they think of you? 4) What ONE PERCEPTION do you want out in the marketplace that goes before you? 5) What ONE THOUGHT do you want in people’s minds about you? 6) What ONE RESULT do you want people to think of when they think of you? 7) What ONE EXPECTATION do you want people to be looking for when they think of you? Now, write your answers down and take a look at the 7 words. What one thing do they all connect to? That is the start of your Brand that can elevate you above all the rest in the market place when prospecting and recruiting. – that people will start to remember and connect to. That is why it is called “Connection Marketing.” People buy often from you because of their initial perception and connection to you, and how you are making them feel. That is why your UBM must elicit trust and make people feel glad they heard about you, found out about you, or talked with you. Every time people think of you, you want them to think of YOU and your NICHE that you have carved out that makes them smile and direct them to a thought, image, or movement. They are delighted that you exist because of your brand. They are delighted to refer people to you. They are delighted to tell people about you. They are delighted to do business with you. And they are delighted to stick with you, because they love the brand that you have marked out in the marketplace. are seeing. It may be sending out all the wrong messages. destroy your business if you are not careful. are getting on the social media path. 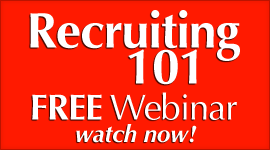 It will make all the difference in the world with your recruiting and prospecting. Branding is a MUST in all respects in social media. 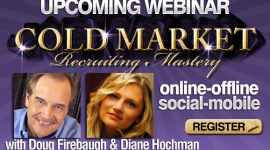 We can teach you how to develop a million dollar brand. All you have to do is learn how to develop YOU as a valuable commodity in the marketplace. Then unleash your brand into the world for your mlm network marketing home business! Are you doing anything to help you in Personal Branding for your mlm home business? 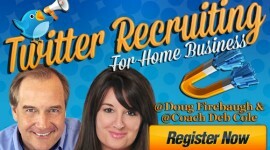 Would you like to discover some Personal Branding Secrets for your work at home business? Would that help your mlm network marketing business? You MUST understand the Power of “Connection Marketing” and the Power of Personal Branding today. Used to be that you could set yourself apart just from your product you were selling. 1) WHAT you market to the consumer. 2) WHO you market to the consumer. And there was a time that used to be that the product was more important than the marketer. 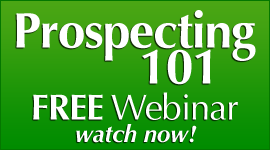 Even mlm recruiting and mlm prospecting have changed as it has become more technology driven, and software driven in many instances. 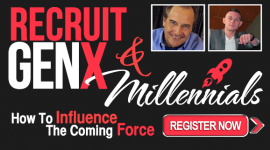 But the secret to powerful recruiting and prospecting still lies within the perception and initial emotion that folks are getting about you and feeling from you. Your personality weighs heavily in the mix. Over time, things in direct marketing seemed to have moved from the message – to the messenger. Yes, the message is THE reason you are in business, but the messenger is becoming more and more of what determines the actual business success. Network Marketing is becoming a messenger driven model of Leadership, with the brand of the messenger being the dominant factor. Today, the marketer is as important if not MORE important than the product. Good question. With the advent of technology, there now is so much more importance on WHO YOU ARE and WHAT YOU ARE KNOWN FOR than used to be. Products used to be enough. The concept of Personal Branding has taken a hold and the social media has helped in bringing that to the forefront. Your reputation, your image in people’s mind, your emotions that you catalyze when people think of you, and how they perceive you in the marketplace before you get there is your Personal Brand. “There was a time that the product was everything in Network Marketing and that was all you needed. A good, solid product that would do what you said it would do. But then things changed, evolved, and transformed. More and more information became easier to get to – and get to quicker– concerning the products and what they REALLY do. It became available via technology like the fax, voice mail, and then came internet. “And because of that, checking people out became easier as well. WHO the person was became valuable information for the consumer if they had any questions. And the old adage consumers buy the person first – THEN the item, is so true. Reputation became ultra important. It was later transformed into what is now called Branding. Branding is a nice word for the reputation and image that you want have in the marketplace. And that has become one of the single biggest marketing factors to hit the scene in years. And there is even an industry birthed from it with ‘branding coaches.’ Things have changed. And that is why the future millionaires in our industry are going to be great at branding themselves and products into the marketplace. 1) What they are FEELING then they think of you. 2) What picture they SEE when they think of you. 3) What past EXERIENCES they have had concerning you- either in person or from a third party source. “From these three things, they must FEEL good about who you are and your product, they must SEE you in a very powerful light. Whatever information they have EXPERIENCED about you, heard about you, or read about you, it must impress them to want to know more. “In social media, you must brand yourself as an expert, and as someone who has the answers, and knows the questions. Branding yourself on the internet is finding your niche to separate you from the crowd, and then driving that niche deep into the online community through new strategies and tactics. If you practice Connection Marketing- you will be surprised at the success you will find in your network marketing home business. What are THE secrets to building a million dollar brand in network marketing and a home business? Are YOU aware of YOUR brand and what it is doing in the marketplace with your home business? What MUST you be aware of in order to build a brand that has the potential to create wealth in mlm home business? There are 5 secrets that I want to share with you on building a million dollar brand with your home based business. We at PassionFire have been building a brand for 12 years, and it has been a lot of work, but yet, it has been easy and fun. We have built a brand in the marketplace that is known worldwide, and has grown to a 7 figure brand. YOU can do the same thing only quicker- MUCH quicker. We were some of the pioneers in building a personal brand, and we had to figure things out, like everyone else in the early 2000’s had to. We learned some things and the things that we learned has been a blessing in many ways in our lives and business. YOU must build a personal brand that will help create the income you want and desire for your family. There are 5 Secrets of Personal Branding in network marketing that I want to share with you, and these are 5 MUST KNOW secrets to a Personal Brand that endures and can potentially create a powerful presence in social media as well as offline. What are the 5 secrets? Well, successful branding begins with a focused, well thought out, and well-defined brand that is RELEVANT to your particular market and niche. You might think that since you have a slogan or great logo, or even tagline, stationary, and business card, you’ve completed your personal branding and are ready to ROCK! You see, unless you’ve carefully thought out, pondered, masterminded, considered and defined ALL five of the essential key branding elements—position, promise, personality traits, story, and association—you still have work to do to create a brand that will become known in the marketplace with your home business. And, until you’ve connected your brand into every possible are in social media, online marketing, and offline marketing, and then built the discipline of CONSISTENCY and TRUST into every behavior you display, action you take, or communication you send out–you are not yet on the path to a successful personal brand in network marketing. This is the part of the personal brand that describes what your home business does and for whom it does, what your unique and one of a kind value is and how a customer benefits from working with you in your business or your product/service, and what key differences you have from any competition. Once you’ve thought out and defined your personal brand position, write it out in 2 sentences, a paragraph, and then a 200 word “Personal Branding Summary.” This will help DEFINE and FOCUS your personal brand. 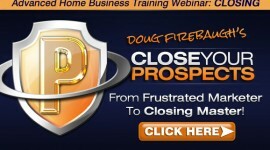 This the single most important thing that your home based business promises to deliver to its customers—EVERY time. How do you discover that? To come up with your personal brand promise, think about what possible customers and team members should expect from every interaction, communication, and connection with you as a Leader. Every decision should be weighed and related against this Personal Brand promise to be sure that a) it fully reflects and gives the Value of the promise, or b) at the very least it does not harm the promise of our personal brand. 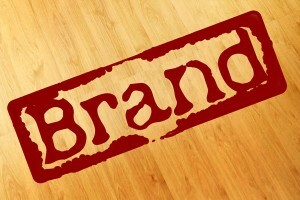 The Traits of your brand- whether numerous or only a few – illustrate what you want your personal brand to be known for. Stop and think about specific and targeted personality traits you would like your mlm prospects, customers, and team members to use to describe your network marketing organization. You should strive for 5 traits, which describe the “perfect customer” and the “perfect team member. What do they look like and what would you like them to be like? Your Personal Brand Story tells the story your home business story, your parent company’s history where you get your products, along with how the history adds and increases value and extreme credibility to your personal brand. Do NOT be afraid of telling some of the struggles and stories you have gone through. People can relate to that. These associations (or what the brand is reflected by) that are the specific physical elements that make up your personal brand and what people SEE, FEEL and EXPERIENCE with it This is WHAT is associated with your brand and the “colors of it” if you will. Once you’ve developed and defined a relevant personal brand, you must begin building the brand with customers, prospects, team members, etc. through CONSISTENT engagement of the brand and everything it stands for. Branding Secret: Relentless Nonstop Repetition is key to the success of the branding process. It’s easy to give in and be less than the brand promises “just this one time,” because you’re busy building your home business, recruiting, or because you think no one will notice. You can destroy a brand within days that took you years to build. No one will ever really know or remember what your brand stands for or represents or even is, unless it is the EXACT SAME every time they are exposed to it online or offline. Without relentless consistency, “magnetic eyeball pulling brand awareness” becomes nearly impossible to achieve, no matter how much resources, energy, or time you spend on marketing. And your good brand identity—that you spent so much time developing, building, and defining—begins to look more unreliable in many ways. To help ensure you build the habit of consistent brand execution in your network marketing home business , I suggest that you write down your essential Brand Elements in a “Branding Log” and study it. Show it to your leaders and team members and get them to do the same thing for their own Personal Brand. Then you can become your company’s main brand ambassador and start sharing your personal brand with anyone and everyone that you talk to, and connect with on facebook, twitter, or LinkedIn, or Google+. If you start the process of what I just shared with you, you are on the way to starting to build a million dollar personal brand in your network marketing home business personal business! Social Media MLM- Why Brand Your Home Based Business? Your home business requires that you build a reputation and a solid one at that. Many people in MLM do not seem to think that is is important. They hear you must brand from many sources, but yet for some reason it does not happen in their home based business. Many folks simply do not think it is a game changer and it is unnecessary. Their question is NOT why is my busines slowly failing? Why Brand my home business in social media? You probably have asked this question before as well in your network marketing business..
Maybe you have asked twice. I know I did a few times in 2005-until the “light went on” and I discovered some things that proved to be worth 7 figures in business to our Brand. 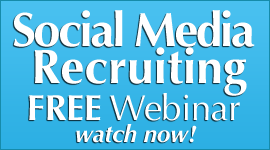 But just what IS branding in home business social media and how do you participate in it? Branding is a marketing technique, strategy, method, or action that has the massive potential to elevate your online and social media home business to the top. It involves helping your customers every time they think of you to form a recognizable association -mental , emotional, or other–with you. What can you do to make that happen to your home based business so it works FOR YOU? Link your business with a powerful and unique design, logo, slogan, and/or color and observe the positive results and imaging that starts to take place in people’s minds. 1) What they are FEELING. Branding is all about emotion and feelings when it comes down to it. Either it feels RIGHT, or it does not. And if it does not, then your brand will be extinct before too long. 2) What people are SEEING on the video screen in their mind. What picture does the prospect SEE in their mind when they think of your brand? What emotions does that elicit? Is it a picture that you want them to see? 3) What are they EXPECTING. What is the prospect EXPECTING to happen or experience with your brand? This is critical because your brand must be consistent as well as credible. Brands create a feeling of recognition, remembrance, and familiarity. If customers have seen your logo or meme, insignia, or company name, they are more likely to continue to consistently select your product or service. Also, they are more apt to refer and suggest them to others. Referrals through word of mouth can be an extremely powerful form of advertising and it can build your brand and accelerate it. A brand helps possible customers remember your mlm home business as well as the emotions surrounding it. (Nike). 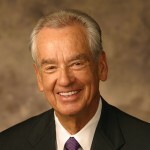 People may know little about your life and business philosophy or reputation. However, if they can recognize your brand, the chances are greater that they will do business with you. Branding your home business creates memory in the mind of the public. We call it “Memory Magnet.” Your brand must draw people towards you and your message and product every time they think of it. When the public remembers your brand and familiarizes themselves and others with it, they will come back. Customers are more likely to remain devoted to your mlm business and are apt to buy further products or services from you based on the brand of the initial product with which they had success. This called building a book of business you can count on. People are willing to pay more for home business products or services that they highly regard. This means that customers are likely to pass up cheaper prices with competitors if your brand has made a positive impression on them. If clients believe in your product, they will pay for it. That is why you need to brand yourself as the “Premier Provider” in your niche and market, so you can charge what your brand is really worth to grow your network marketing business. When you have distinguished and set yourself and your business apart through branding, the marketing has the capability of becoming so profound, that little else is necessary. Developing your brand takes time and effort, but after it has been solidified, and after customers have had the chance to identify with it, your home business sales can increase naturally. You won’t have to spend as much time planning home business marketing strategies to attract the public in your social media marketing strategies for your mlm home business. 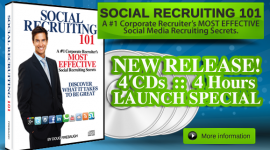 Learn the Secrets of Social Recruiting from a #1 Corporate Recruiter!